In honor of the late and brilliant Oscar de la Renta, “If you wear a different perfume every day, I do not recognize you.” I’m not someone who finds and scent and sticks to it for very long. I might wear a perfume for a week in a row, and then I’m on to something else. I love variety, and this character trait definitely shows in my perfume collection. 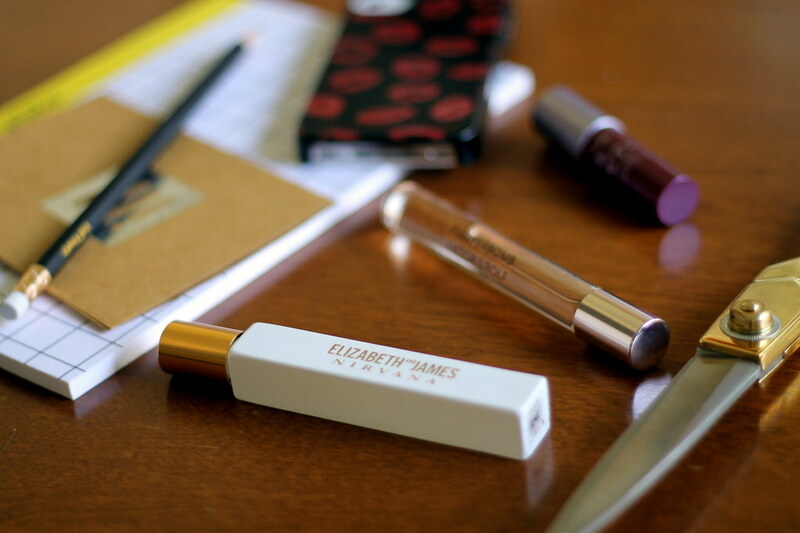 When it comes to fall, though, I tend to edit myself down to two perfumes. The first is Elizabeth and James’ Nirvana (the white version — I can’t stand the black one). This one has notes of peony, muguet, and tender musk. It’s definitely a warm scent, one that reminds me of winter and cozying up with warm sweaters. 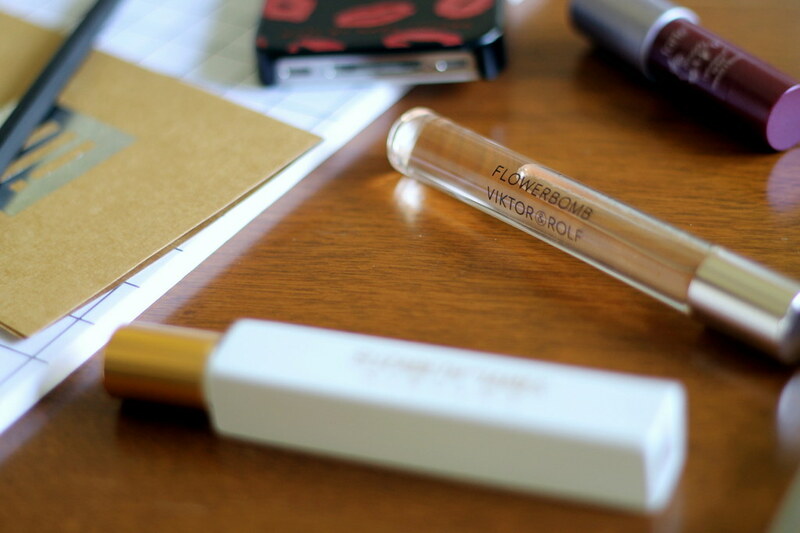 My second go-to perfume for fall is Viktor & Rolf’s Flowerbomb. This one has notes of sambac jasmine, centifolia rose, cattleya orchid, ballerina freesia, and patchouli. (Fun fact: I love almost anything that has notes of patchouli in it.) Although its name seems like something that would be very light and summery, I think it’s a very deep and warm scent that makes me think of fall and walks through leaves. What are your favorite fall perfumes — or do you have a signature scent?